You don’t have to get frustrated with your lovely pet friends each and every time they mess on your carpet because there’s always an effective solution to every problem imaginable. Our list of the best carpet cleaners shampooers for pets will help you pick the right carpet cleaner that can easily and conveniently clean any stubborn stains or mess from your pet. Having a pet in your house can be fun and entertaining most of the time. However, these pets also come with their fair share of problems. If you have carpeting in your house, pets can be the number one reason why you need to clean your carpet frequently because they can urinate, poop and do all sorts of messy things on your carpet. Even though there are limited options to choose from as far as carpet cleaners are concerned, a good number of models are built and designed with pet stains in mind. The models reviewed below are perfect for anyone who has carpeting and pets at home. The Hoover Power Scrub Elite Pet Carpet Cleaner is a full-size carpet cleaner designed for improved cleaning performance and drying speeds, and as the name suggests, it is equipped with special tools for cleaning up messes related to pets. However, with a powerful deep clean mode, it is effective at cleaning up a variety of unrelated messes as well. 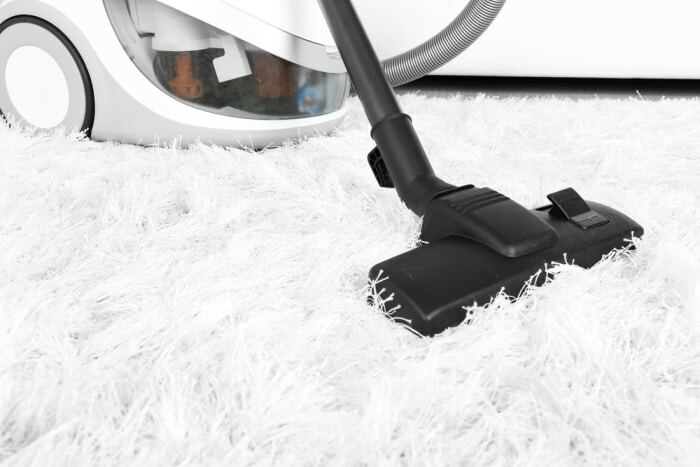 As a carpet cleaner, it’s more than just a vacuum and is designed to carry water and detergent, which also means it’s going to be a bit bulky. However, the machine is reasonably priced, and with all of its features, users should be able to effortlessly deep clean their floors. 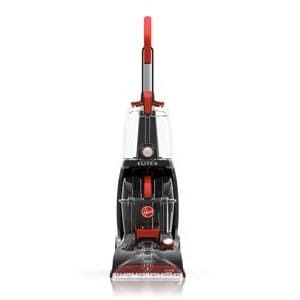 The Hoover Power Scrub Elite comes with two modes: quick clean and power clean. However, since the vacuum uses water and detergent, the size of the tank somewhat limits your ability to clean. Luckily, this power cleaner boasts one of the largest tanks on the market with a capacity of 1.25 gallons, and the bigger the tank, the longer you can clean. The machine automatically mixes the perfect amount of water and detergent to create the ideal cleaning solution, which ultimately produces better results. The antimicrobial brushes can last longer without needing to be replaced, and the sturdy build makes this cleaner durable from top to bottom. With a large tank and sturdy design, the Power Scrub Elite is a step up from its predecessor, the Power Scrub Deluxe. Since the mixing process is automatic, all you have to do is the load the water and the detergent, and the machine will do the rest. These are some excellent qualities, but the following list of pros and cons takes a look at the bad and the good. Product is backed by a two-year warranty. Carpets, in general, need to be cleaned on a regular basis, so perhaps it doesn’t matter whether or not you have pets. However, pets do tend to make things even dirtier, so if you own a pet or several pets, you need an effective way to keep the carpet clean. The Hoover Power Scrub Elite is ideal for pet owners because of its cleaning tools and its powerful cleaning abilities. With an affordable price tag, it’s also ideal for people who are working on a budget. The Bissell ProHeat 2X Revolution is a versatile cleaning machine designed to handle tough messes, whether or not your pets create them. From food spills to pet bathroom accidents, this machine can tackle all sorts of messes, and there are also Bissell cleaning solutions designed specifically for this machine. With a 2-in-1 pet upholstery tool, you can remove pet hair and odors from furniture as well as carpet, and with a deep clean setting, you can get incredible cleaning power that compares to a rental machine. It’s relatively lightweight, so you will be able to carry it up and down stairs, and whenever you are using water, your carpets should dry in about an hour. 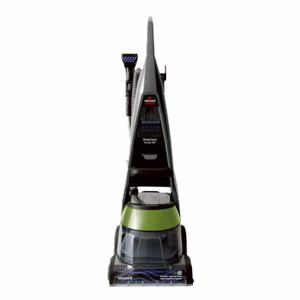 This Bissell model features 12 alternating rows of brushes designed to loosen dirt that has been embedded into your carpet, and in many cases, it can do this without forcing you to make multiple passes over the area. These brushes are also easy to remove and clean, and doing so will help keep your cleaner in good shape. In addition to the brushes, the cleaner also has an eight-foot hose with multiple attachments, so you will be able to clean all over the place. Whether or not you have pets, the Bissell ProHeat 2X Revolution is going to provide a deep and thorough clean, but the cleaner was designed with pets in mind. Overall, the pros seem to outweigh the cons, and both of them are listed below. Keep in mind that the cleaner doesn’t remove pet odors on its own. You will need to purchase a cleaning solution from Bissell if you want to remove urine or a related odor. This Bissell model also has one of the longest warranties on the market at five years. You don’t necessarily need to own pets to buy one of these cleaners, but if you do have pets, it may definitely be a good idea. Also, if you buy this cleaner, you should keep in mind that you may need to buy cleaning solutions down the road. Without a doubt, the Bissell ProHeat 2X Revolution cleans your carpet efficiently, and with powerful brushes, you will able to penetrate your carpets deeply and loosen up dirt that a traditional vacuum isn’t able to handle. 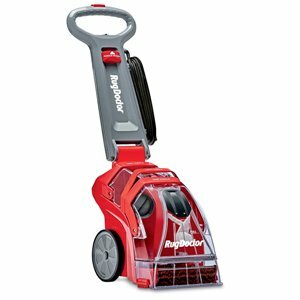 The Bissell DeepClean Premier is a carpet cleaner designed for homeowners who have pets, although anybody with carpets will be able to get a deep clean out of this machine. Among other things, it contains dual rotating power brushes and heatwave technology, and with its deep-cleaning technology, it is able to loosen and retrieve dirt and pet odors that have settled deep in your carpet. The idea behind this machine is that you will be able to clean better with less effort, and for the most part, it lives up to its expectations. Like most deep cleaners, the Bissell DeepClean allows you to effortlessly clean with or without water. A stand-out feature on this machine is the pet hair collection basket, which catches hair and other debris before it reaches your water tank and dirties your water. The water tank is on the larger end of the spectrum at 1.25 gallons, which means you will be able to clean for longer without changing the water or cleaning the tank. However, it doesn’t separate clean water from dirty water in the way that other cleaners do. Rather, it stores clean water in a pouch that empties as you clean, and the dirty water is returned to the tank itself. The machine’s capabilities nearly match some of the top rental machines, but there are some clear drawbacks in addition to the many advantages. Of course, the cleaner comes with various attachments as well, including a deep-reach tool for pet messes, tough stain tools, and edge-sweeping brushes. The warranty is also longer than that of many other cleaners, but it’s not the longest on the market. One area where the DeepClean premier excels is in regard to the process of water removal. So if you dread wait times after shampooing, this may be a good option for you. This means that you can save some time after the initial cleaning since the cleaner will be able to extract water at a faster pace than other models. It actually has a surround suction feature that pulls water up from all sides. As the name suggests, the machine works well for cleaning up after pets and deep cleaning overly dirty carpets. However, keep in mind that the cleaner is bulkier than other models, and if you will need to drag it up and down stairs, it is not ideal. With the ability to clean both carpets and upholstery, you have the potential to do deep cleaning all around the house. The Rug Doctor is a leader in carpet cleaning, and in addition to being able to purchase this model for your home, these machines are commonly available for rent. 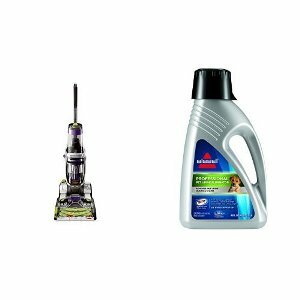 The deep carpet cleaner and pet pro cleaner bundle is specifically known for its incredible suction power that is said to be 75% higher than any upright carpet cleaners you can find at the store. The machine is designed to remove the toughest stains and the most deeply-entrenched dirt while getting rid of various odors in the process. You won’t have to exert any more effort than you would with any other upright cleaner, but you may need to pay a little more. The machine is also designed to be convenient. There is an easy-to-open tank cap, and the tank itself can be cleaned by simply lifting up on a handle. The handle for the machine itself collapses so that you can easily store it somewhere out of sight. Lastly, the machine is completely ready as soon as it comes out of the box, so you won’t have to assemble it in any way. The dual cross action brushes are a unique set of brushes that contain two rows of bristles. These bristles clean carpet fibers from all angles, and the rotating brushes groom and polish the carpet shortly after. With the ability to adjust your cleaning settings to be minimal or aggressive, you can clean low-traffic areas just as easy as high-traffic areas. The Rug Doctor has built a reputation of being one of the best carpet cleaners for homes, and you may have a local grocery store or similar store that rents these cleaners to customers. If not, buying one is roughly the same price as buying any other brand. However, if it is true that the Rug Doctor offers 70% more suction power, you may be getting a lot more value for your money. Cleaning your carpet regularly is not just good for your health, but it can also make your carpet look more visually attractive and last longer. If you’re seriously looking for the best carpet cleaners shampooers for pets, then you can’t go wrong with any of the models reviewed above. We did our research and selection carefully to ensure we only review carpet cleaners that will do the job of cleaning stubborn pet stains from your carpet. But still you’ll need to pick wisely if you want to end up with a model that meets most of your needs as far as cleaning carpets is concerned.